Hello students! It’s Shayna from EspressoEnglish.net, and during the month of November I’m excited to bring you “English from the News” lessons. Every week, I’ll choose a current news topic and teach you key vocabulary and phrases in the context of the article. You can find the link to the original text in the description of this video. Today’s article is about a protest by employees of Google against how the company handles sexual harassment. The word harassment means to irritate, pressure, or intimidate another person in a malicious way, and sexual harassment is doing this in a sexual way, like by making sexual comments or touching someone in a sexual way without their permission. The article describes the protest as a mass walkout. The word “mass” means it involves a large number of people, and a walkout is when the people walk out of their workplace during the day, usually to protest something about the company. What prompted this walkout was the news that a top Google executive who was accused of sexual harassment, had received a $90 million severance package. The term severance package refers to pay and benefits people receive when they leave a company. The protest happened in New York and various other cities around the world. One of the organizers called it the culmination of a fast, furious week and the work of more than 1000 people. The word culmination means a high point or completion. The organizer also said “we are a crazy force to be reckoned with” – a force to be reckoned with means something very strong and powerful. The protesting employees want a better process for handling sexual misconduct – the word conduct refers to behavior, and misconduct means “bad behavior.” They also want Google to improve a company culture that has allegedly fostered harassment. To foster something means to encourage it, and the word allegedly means supposedly, something people think or believe to be the case. There was also a walkout at Google’s main office, but this event was more reserved and reporters were politely escorted away. 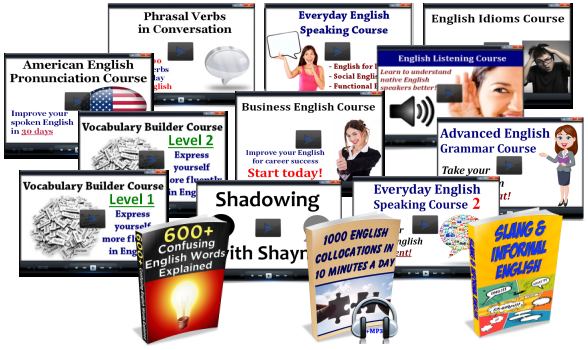 The verb escorted means accompanied or guided. The CEO of Google sent an email in which he apologized and pledged support – that means he promised support. The company later released a public statement that reiterated parts of the email. To reiterate means to say something again. The statement also said that employees had raised constructive ideas. Raise in this context means to propose or introduce into the discussion, and the adjective constructive means helpful, aiming to improve things. One of the protesters’ demands is for Google to create a clear process for reporting sexual harassment safely and anonymously. If you do something anonymously, it means you do it without revealing your identity. They also want Google to report on gaps in salary or advancement across employees of different races, genders, and ethnicities. A gap is a space or separation. So “gaps” in salary or advancement means differences like men earning more than women, or white employees being promoted more than minorities. Some of the protesters’ demands have almost become state laws, but the governor of California vetoed it. The verb veto means to force rejection of a proposal. Now the proposed law remains stalled in the government. If something is stalled, it means it is stopped and not making forward progress. The protesters are optimistic that change will come. One of the organizers said, “We are just getting started” to the cheering New York crowd. Remember, a crowd is a large group of people – and cheering means they were yelling in a positive way, with approval or encouragement. I hope you’ve enjoyed today’s English in the news lesson! Make sure to subscribe to my YouTube channel for more.